For the uninitiated, you may just think of will.i.am as a hip-hop star with a knack for putting on larger than life Super Bowl halftime shows. A recent Financial Times Magazine article highlights will.i.am as an extraordinary inbound marketer, an innovator, and true visionary. 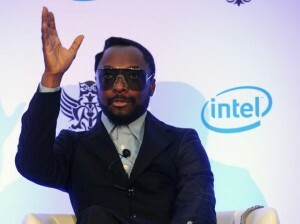 What can we marketers learn from will.i.am (a.k.a Director of Creative Innovation for Intel)? Don't hesitate to approach brands or approach your own clients with new ideas they may not have been asking for. 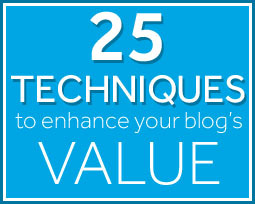 As an agency or marketer, it's something you should must do regularly. After seeing aging rockers, The Who, perform during the Super Bowl halftime show in 2010, Will approached the NFL about having a current group (i.e. his own Black Eyed Peas ensemble) perform for the 2011 Super Bowl. Although the NFL was concerned about another Janet Jackson "wardrobe malfunction," will.i.am allayed their fears and also negotiated a deal to appear in commercials bookending the halftime show. As marketers, we need to ask, and poke and prod - we should never expect clients to push the envelope for us - that's what we are paid to do. Be bold, fellow inbounder. Google. Twitter. Inbounding. Lead Grader. How can you help your client's product or service become a verb? For Coke, will.i.am decided that recycling was the verb to own, so he created EkoC (Coke backwards) and then turned EkoC into a verb - Ekocycle - a brand that uses discarded Coke bottles and cans to create new products. So Coke, in addition to its happiness branding, also becomes a sustainibility brand and define's recycling in its own way. Of course, you may be wondering how you can help your client's commoditized B2B product or service become a verb. Selling wheel chair sprockets isn't exactly like selling Coca-Cola. No. But, so what? How can you make your wheel chair sprockets the Kleenex of your industry? Can they bendable, flexible, or platinumed coated? What can make them so remarkable that your brand will become synonomous with the product? How can you redefine your industry with your product? What's the difference? A video can go viral with millions upon millions of shared links - sharing a link takes one click or one copy and paste. But, as Will describes it, making your message batonable requires it to be inspirational. You pass the baton and are motivated to inspire others while you are doing it. Be a messenger not a vessel for someone's message. And yes, if you do it properly, your wheel chair sprocket can become batonable. Approach, become a verb, and be batonable. Which of these things are you doing? How are they working for you? Need some help thinking through ideas? Sure, we can do that.